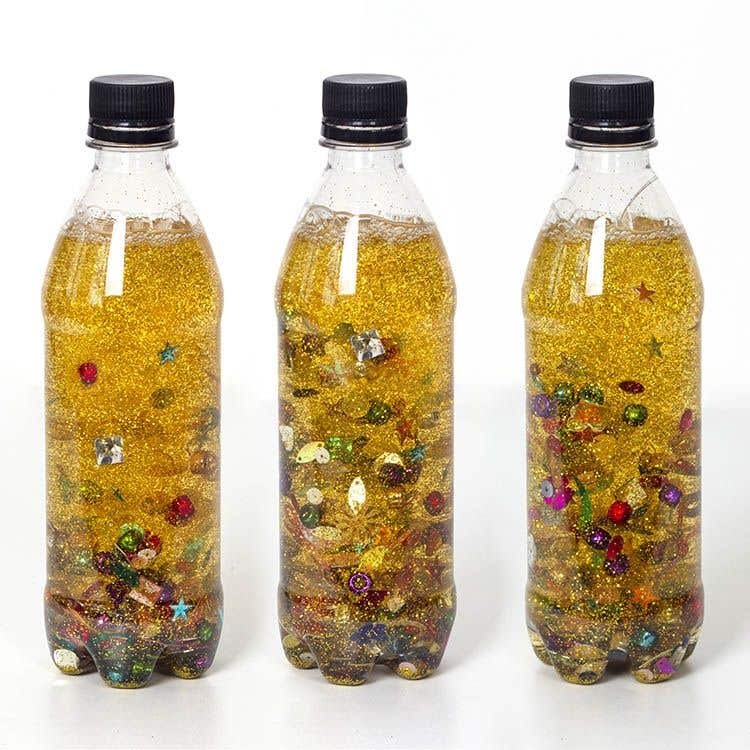 This mesmerising pirate themed sensory bottle is great fun to make, and it will keep the kids busy for hours looking for all the different treasures hidden inside! 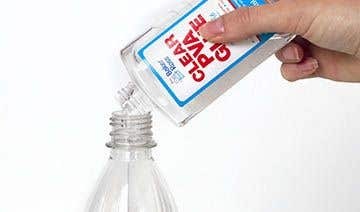 Pour an entire bottle of clear PVA glue into the empty bottle, then fill the rest up with water, leaving about two inches at the top. Put the lid onto the bottle and shake it to mix the glue and water together. Pour some gold glitter into the bottle, then add some gems, sequins and metallic beads. 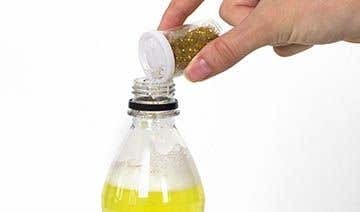 Twist the lid onto the top of the bottle, then seal it on with a hot glue gun. Shake the bottle to mix the materials together, then watch the treasure float around the bottle. 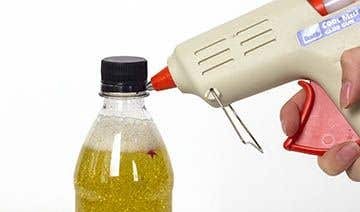 Use a hot glue gun to seal the lid to the bottle to prevent leakage.